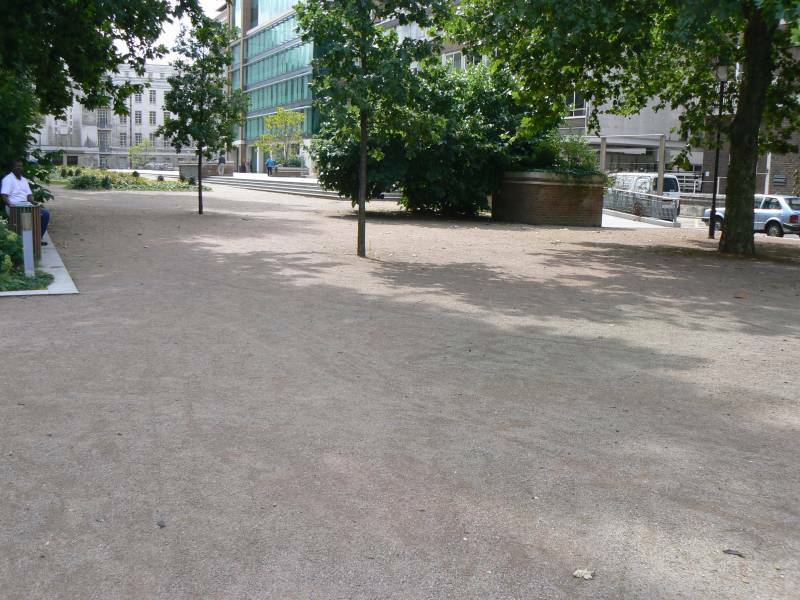 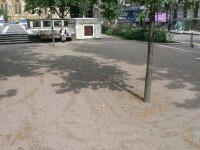 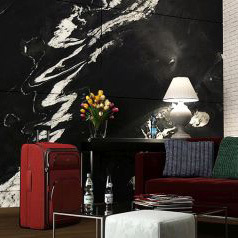 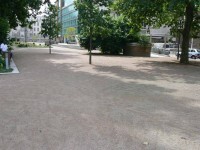 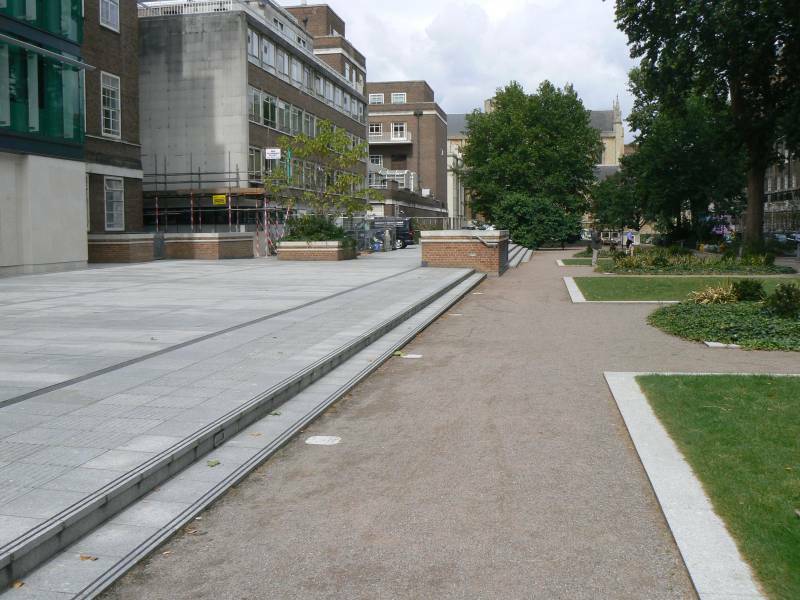 “Torrington Square is located in the Borough of Camden and provides a pedestrian green space for quiet recreation and a pleasant backdrop to the surrounding buildings and streets. 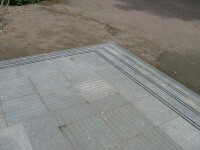 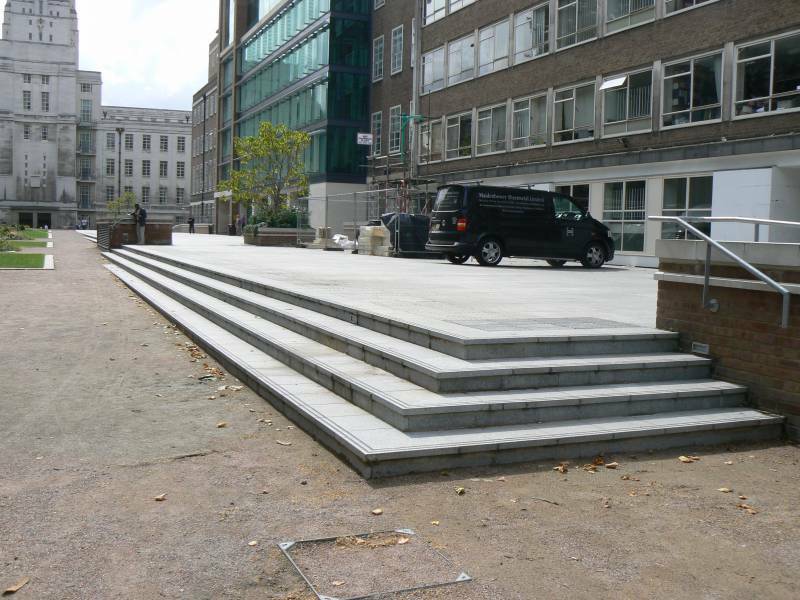 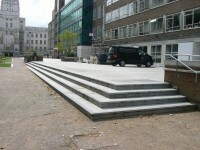 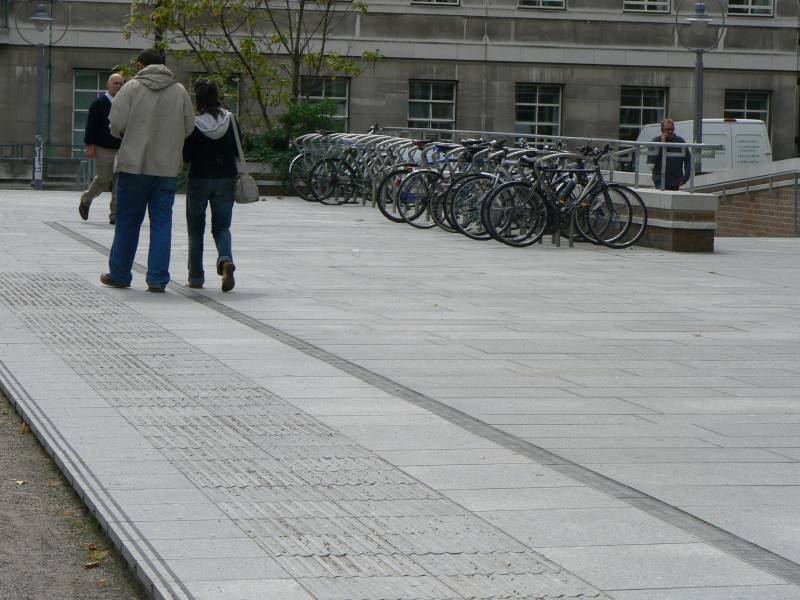 We supplied the 40mm thick flame textured silver grey granite paving and bush hammered silver grey granite kerbs which give definition to this creative design. 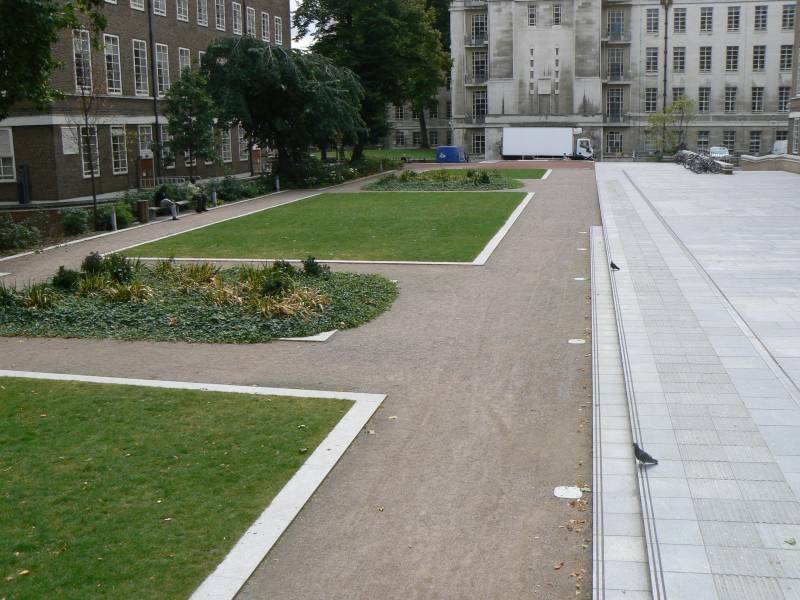 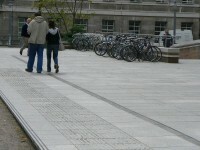 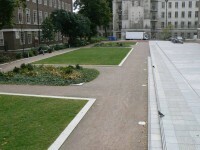 The silver grey colour contrasts beautifully with the 200 tonnes plus of CEDEC Red used for the wider walkway areas.